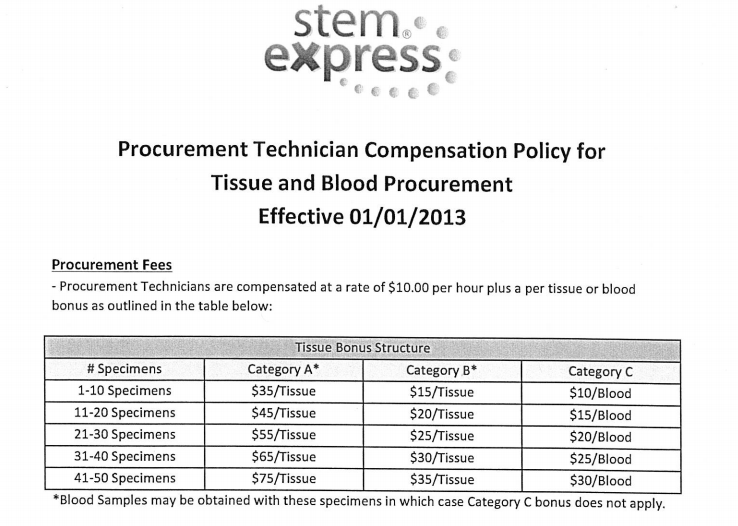 Chilling email exchanges and documents shared between Planned Parenthood and StemExpress employees indicate their organ harvesting scheme violated federal law. The House Select Investigative Panel on Infant Lives sent evidence to the Obama administration on Wednesday revealing that the nation’s largest abortion provider conspired with the organ procurement company to break the law and fraudulently cover it up. The panel — which formed in response to undercover videos produced by the Center for Medical Progress revealing Planned Parenthood’s organ harvesting scheme — sent a letter along with the evidence to the U.S. Department of Health and Human Services urging that the two entities be investigated. The evidence includes emails between several abortion clinics and StemExpress, copies of consent forms, as well as invoices and contracts detailing how much money Planned Parenthood made from each organ they sold. Documents show that the abortion clinics would regularly share patients’ personal health information with StemExpress. Based on this information, StemExpress technicians would decide what organs they wanted to harvest and then would seek out patients by name to obtain consent forms. Sharing personal health information with another entity without a medically valid reason violates federal privacy laws. The evidence reveals Planned Parenthood shared women’s personal health information with StemExpress for the sole purpose of financial gain — which is against the law. Documents also reveal that StemExpress and Planned Parenthood routinely lied to women by stating on the consent forms that a patient’s personal health information would be protected, when in fact the two were sharing information with one another without prior consent to this sharing. The letter states that affirming a patient’s privacy is a “nod” towards federal privacy regulations without actually following them. This indicates they knowingly violated the law and tried to cover it up by mimicking compliance. This email raises questions about whether Planned Parenthood illegally altered abortion procedures to fulfill the orders for organs. Rather than performing abortions and then sending StemExpress whatever organs they happened to obtain, it seems the abortion clinics were under pressure to meet expectations. In the past, Planned Parenthood abortionists have admitted on camera to altering abortions in order to get the maximum number of organs from the infants. Another document included in the batch is a list of each organ’s value. Planned Parenthood has claimed they did not profit from organ sales — they have said they were merely reimbursed for costs associated with procuring and shipping organs. But the organ price list and contracts between the two seem to dispute the abortion provider’s claims. As The Federalist has reported, the clinics have no costs associated with harvesting organs. StemExpress procurement technicians, who were given access inside the clinics, were instructed to handle the entire process from start to finish. So Planned Parenthood’s claim that they were being “reimbursed” for services that cost them nothing is shaky at best, especially when the prices varied per body part.